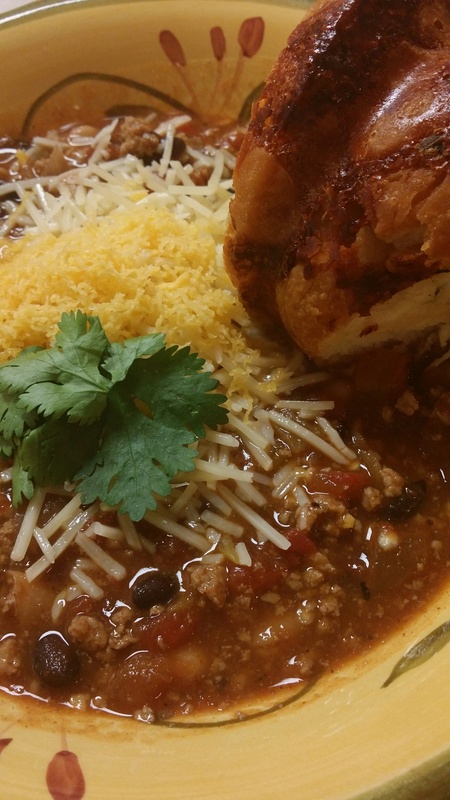 The perfect companion to chili! There is no doubt that we love Monkey Bread. I mean, we all grew up with this easy quartered biscuits tossed in cinnamon and sugar, pats of butter in a bundt pan, puffed up and ooey gooey goodness kinda bread. The results were PHENOMENAL. We ate it ALL with just enough left over for lunch the next day. Although it was sad to admit that fact on a blog, we were not a bit sad at eating this scrumptious and super easy bread. Preheat the oven to 350 degrees. Spray the bundt pan down with the nonstick spray. Mix the cheeses, cilantro and melted butter in a large bowl. Toss in the quartered biscuits and mix. Then place in the bundt pan. Cook for about 30 minutes. Just make sure that the bread is cooking evenly. You can see if there are any wet spaces between the biscuit pieces. Take out the bundt pan and behold the beauty!!!! Now is the fun part..turning it out! If you’ve hit the pan with nonstick, and with the addition of the butter, you should be JUST fine. I cannot stress how easy AND GOOD this was! Plus, I’ve already made it’s Italian cousin with a Pizza version. Added pepperoni, minced garlic to the butter, and basil instead of cilantro. 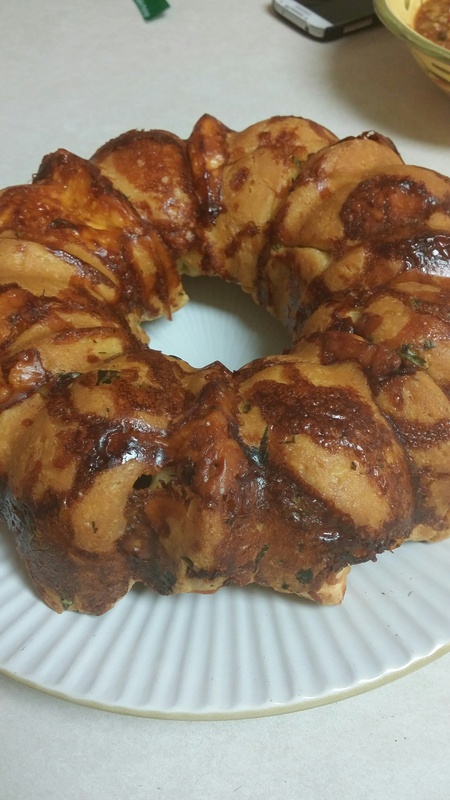 I have a feeling I should have a variety of monkey bread recipes..and I shall! 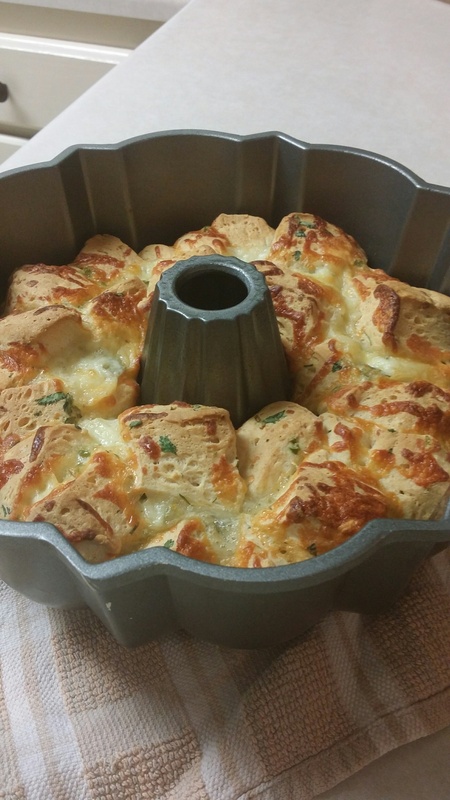 Enjoy and as always, let me know if you have any questions or have feedback by emailing mytnkitchen@gmail.com. Thanks for stopping by My Tennessee Kitchen!